Coming up in Hong Kong on April 4 is an auction devoted to “Curiosity,” a trendy catch-all for fossils and ancient figurines, and, in this case, mammoth tusk snow goggles and an eighteenth-century steel corset. It is lot 3008 that really turns heads, though. 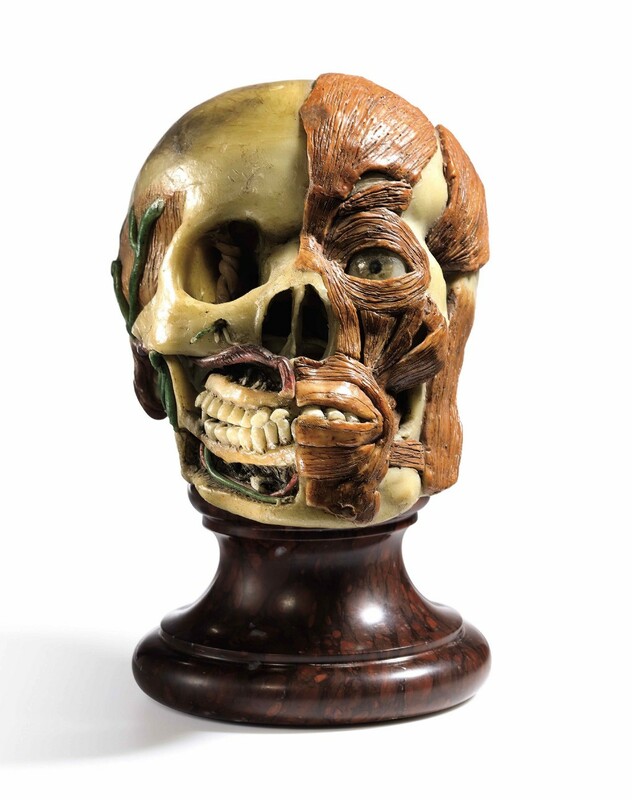 According to Sotheby’s, this objet d’art (and science) was possibly crafted by a follower of Clemente Susini, an Italian sculptor known for his vivid anatomical models. It is estimated to sell for about $30,000. The listed size is 30, but that’s European sizing. In America, it’s a size 0, fit for mannequins and tweens with $500 to spare. Want to re-enact a presidential impeachment? Grab your ticket and get in line. In 1868, gaining admittance to the year’s best spectacle meant securing a ticket to one of President Andrew Johnson’s impeachment trials. What did the seventeenth president do to deserve such unfair treatment? In short, he appeared too lenient with the Confederate states in the aftermath of the Civil War and removed from office Secretary of War Edwin Stanton, with whom he disagreed. Apparently Johnson did not have the power to make that decision solo, so the House of Representatives took the opportunity to impeach him in February. 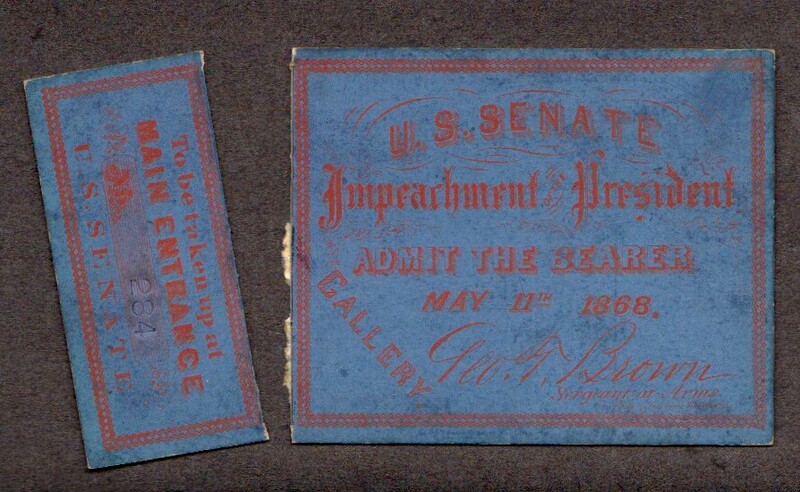 Then the case went to the Senate for a series of trials spanning March to May; the ticket and detached stub seen here admitted the bearer to the May 11 proceedings. In the end, one vote acquitted Johnson. This political tidbit goes under the hammer in the battleground state of New Hampshire during an April 8–9 autographs auction. Bidding starts at $240.